Take it for a birthday party, baby shower or as in our case for saying good-bye to some primary-school pupils. 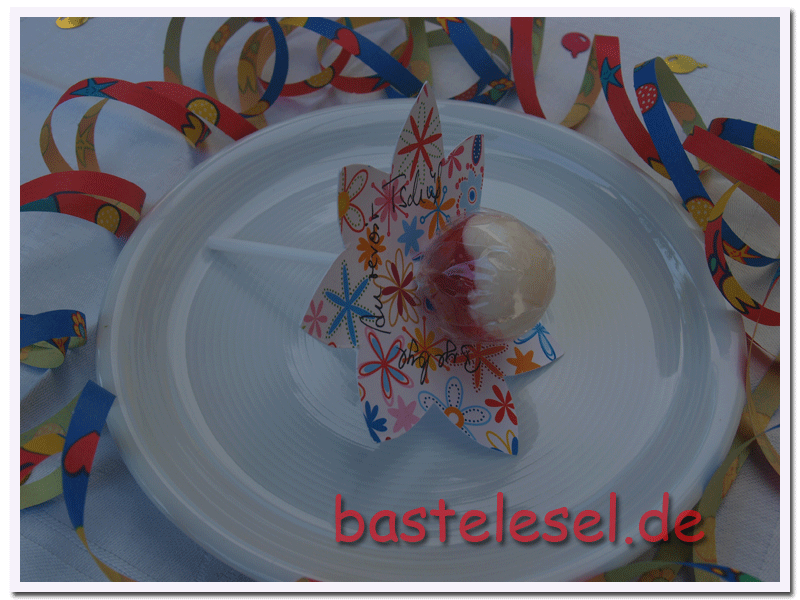 A lollipop’s always welcome – and even more these ones with their nice decoration. The lolli sticks are pushed through the center of a colored card stock flower. You can mark them with names, greetings or anything else showing the reason your party. 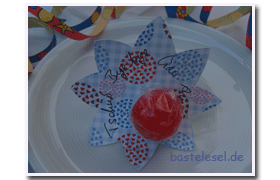 Simply wind a small paper flag around your lolli stick and it will make a perfect place card. Plain-colored card stock can be decorated with printed parts like my cameo color card stock punch. 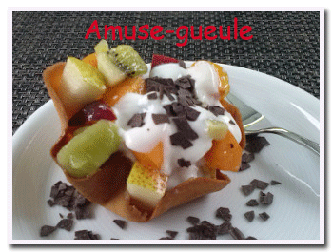 Both, flower and punch are cut crosswise in their center. Regarding the approaching first day at school you could easily write down numbers and letters on plain-colored flowers. Thus school’s start will be much happier. 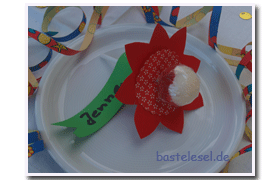 Find a free template for flower and circle punch here.